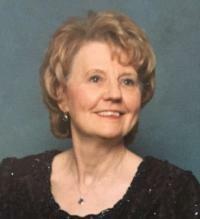 It is with profound sadness that our family announces the sudden passing of our beloved Mom, Grandma, and Great-Grandma, at the age of 82 years. Left to cherish many precious memories are her children, Cynthia Jade (Scott), Ronald William (Deb), and Howard Paul (Janine); grandchildren, Melanie (Brad), Brandon (Jessica), Krysta (Brad), Dawson (Tia), Denise, Ryan (Kim), Codie, Bradley, and Courtney; great-grandchildren, Daylan, Liam, Abby, and Emmy; sisters, Shirley Hemmens, Bernice Costello, and Annette Hill (Dave); brother, Ralph Skanes; and many family and friends, including the Al Shamal Shriners, and the ladies of the Al Amira Temple # 157. Jean is reunited with her oldest son, Philip Dale, loving husband, William (Bill), brother, Harris Skanes, and sisters, Edna Skanes, and Berle Lloyd. With court reporting being her passion, she started her distinguished career at the NFLD trade school in St. John’s, continuing on to NAIT where she also earned a Master’s degree from the U of A. A proud member and past Queen of Al Amira Temple # 157, she devoted her talents to the fraternity and its charitable causes. A Celebration of Jean’s Life will be held at 2:00 p.m., on Thursday, February 2, 2017, at Foster & McGarvey Funeral Home, 10011-114 Street, Edmonton. In lieu of flowers donations can be made to the Shriner’s Hospitals for Children, or the Cross Cancer Institute.